Born in Dublin, Ireland, Daniel Crossan has been obsessively drawing and painting from an early age. Growing up in Tottenham, North London, he was exposed to the world of 80s cartoons, the explosion of music television, The Simpsons, impossible 8-Bit video games, and collectible plastic action figures. 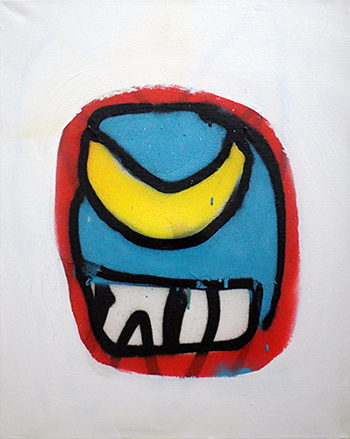 Influenced by Outsider Art, tattoos, graffiti, African Art, Neo Expressionism and contemporary character design, Crossan’s work is colourful, expressive and has a loose narrative that connects to the work as a whole. A strange cast of characters, distracted and confused, trying to connect with each other and the world around them.